January is here and as we start to strip our homes of all the festive & bright decorations, our homes can all of a sudden feel empty, bare and dull. The same can be probably said for our mood. 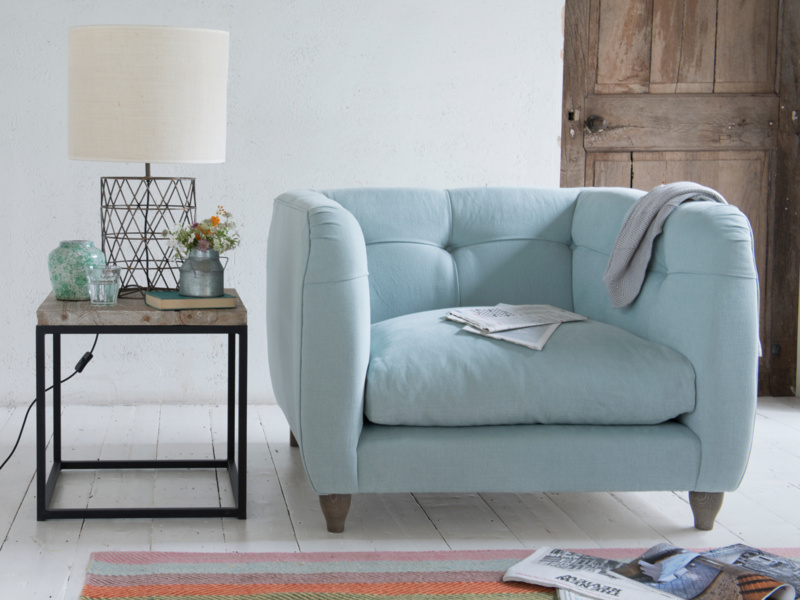 We feel like something is missing, so it’s really important to fill the void by adding back some warmth and cosiness to our interiors. 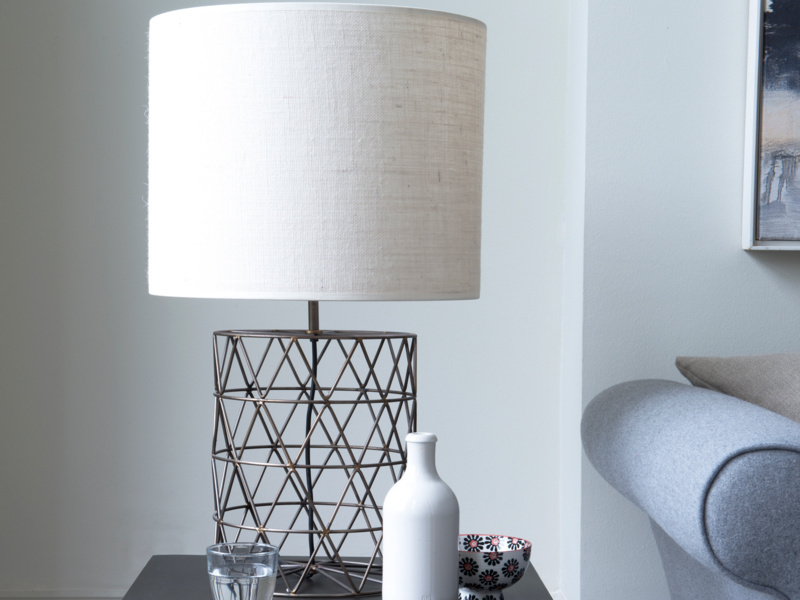 The perfect way to do this is dot some soft lighting around your home which not only brightens up a corner but also enhances your mood… after all its still Winter time. 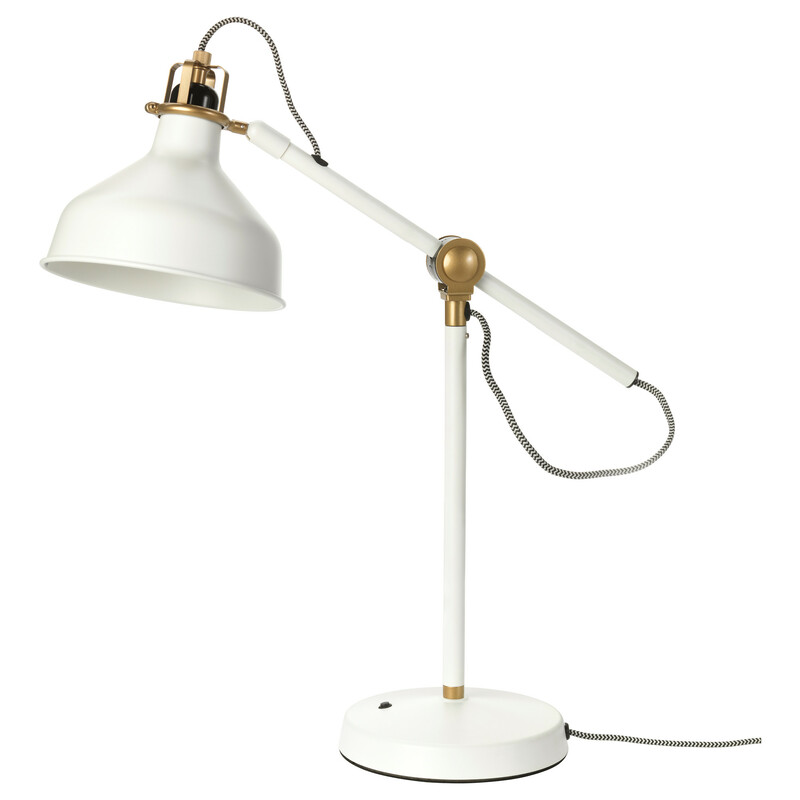 I picked this lamp up in Ikea, I love the style of it with the little touch of gold. 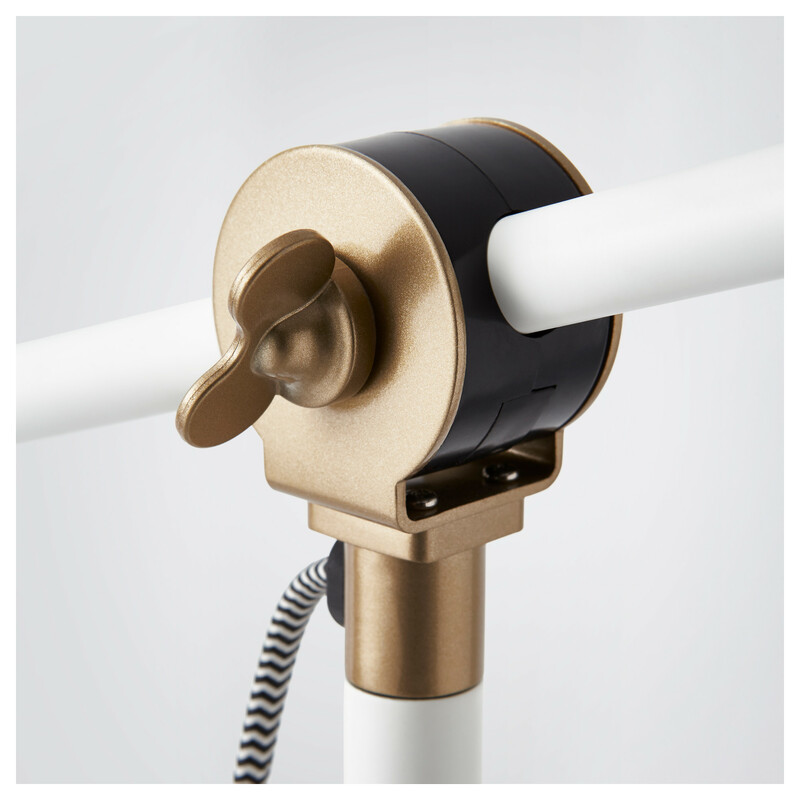 It’s great also as the light arm and head are adjustable, so you can direct the light where you want. 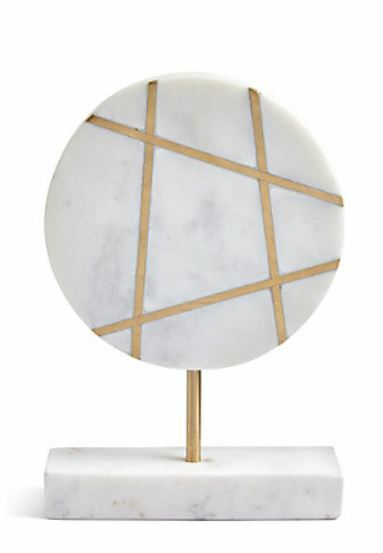 You can shop ALL my ‘Nook Accessories’ at end of the blog post. 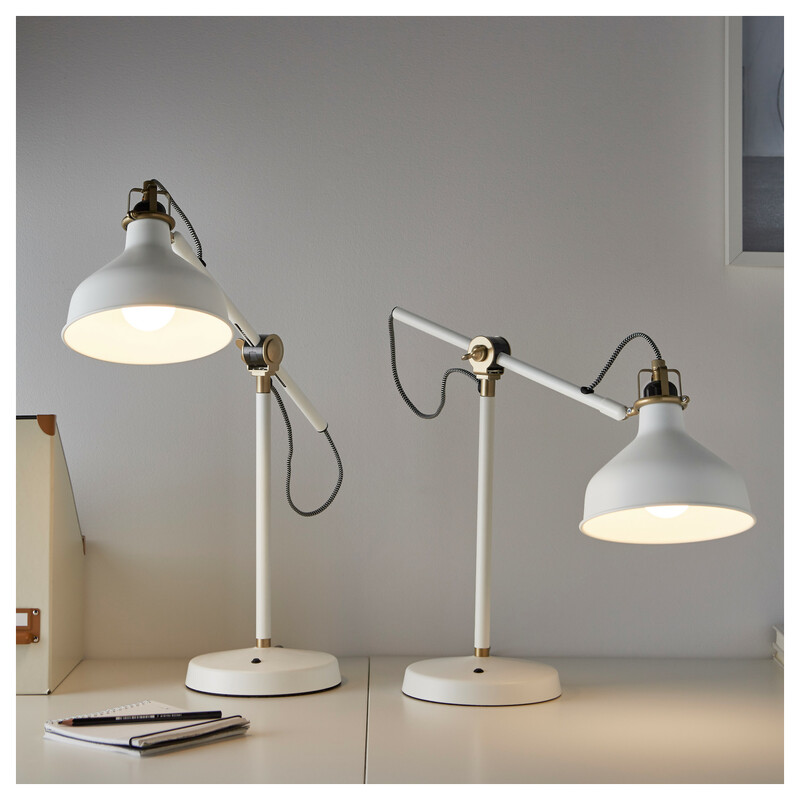 Mixing up our lighting is very important to create a cosy and warm atmosphere. 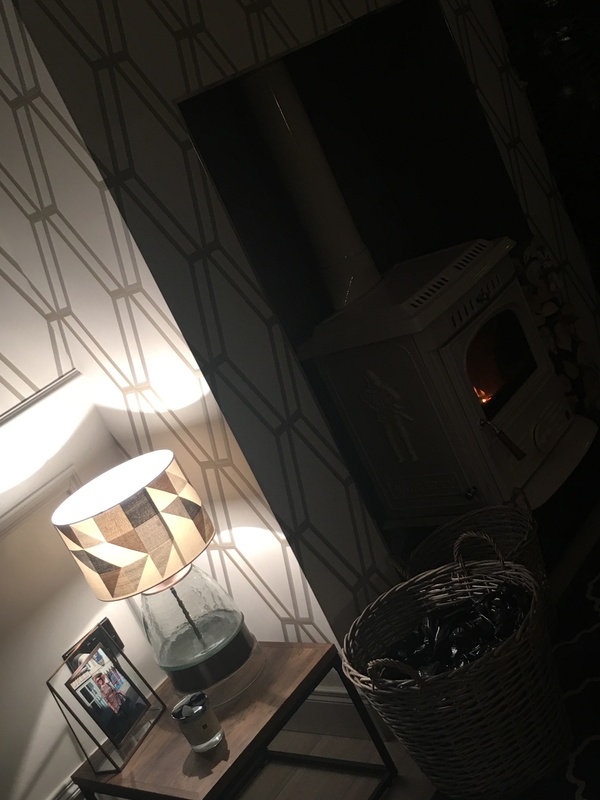 I like to opt for a number of sources of soft lighting in the one room, which not only transforms the look and feel of the room but helps our mood. 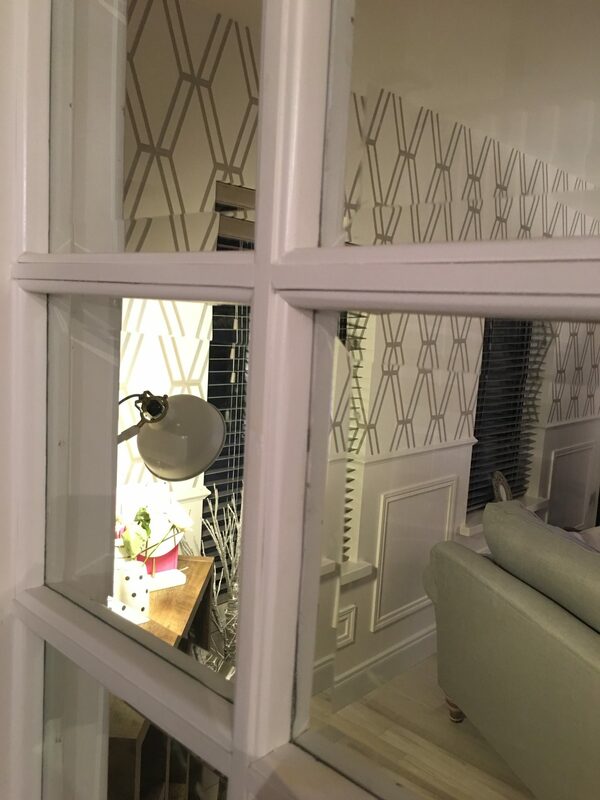 Below is another corner in the same living space. 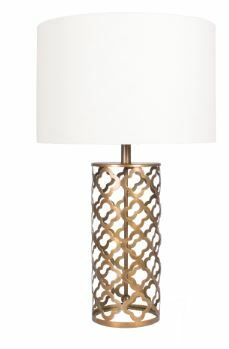 So as you see I like to mix and match the type of lamps and dot the lighting around. 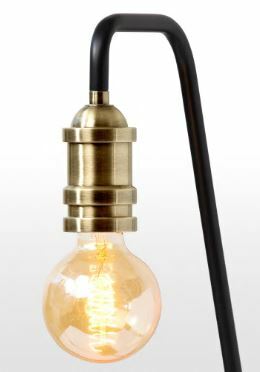 This lamp adds a touch of industrial style, which features a textured glass dome with a decorative brass band and fixtures. 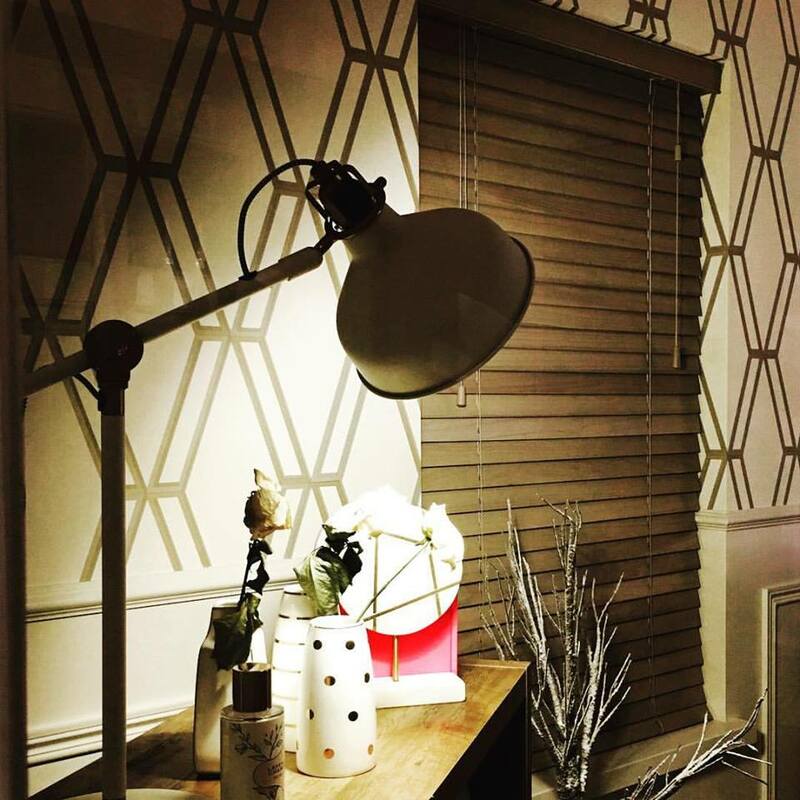 I then added a drum shade with a geometric urban feel. 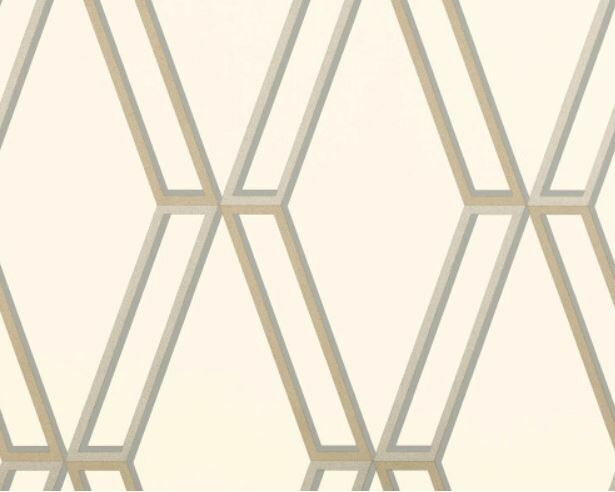 Its neutral tones mean it easily matches my decorative paper style and panelling. 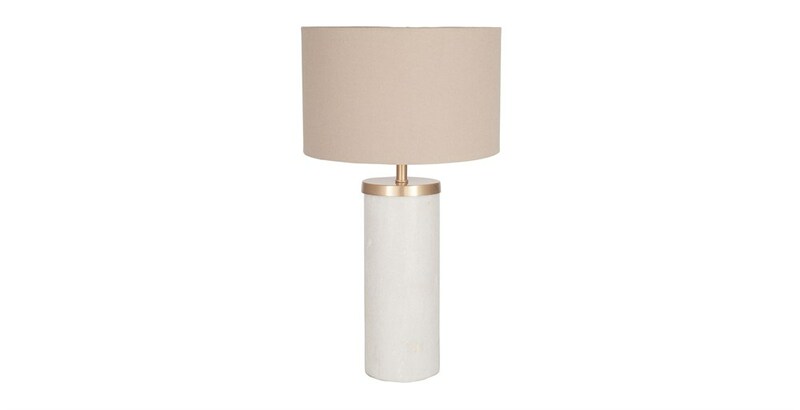 This chic lamp has a marble and brass base and cotton shade, and sits beautifully in both traditional and contemporary bedroom styles. This Indian-inspired handcrafted mango wood and brass lamp base, comes complete with a handloom cotton shade and creates a beautifully relaxed, warm glow. We couldn’t help but be impressed at the time that goes into hand-soldering this showstopper. 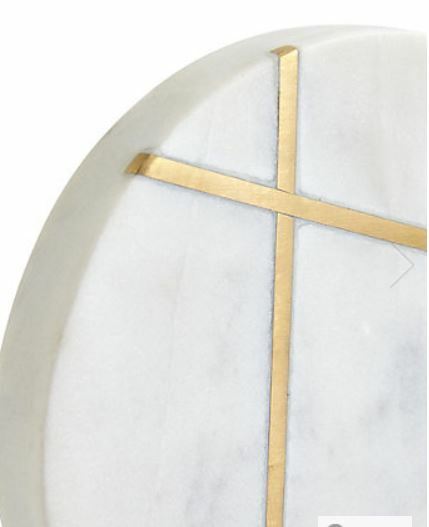 Crafted from our vintage-y bronze metal, it looks even better than a two bob bit. 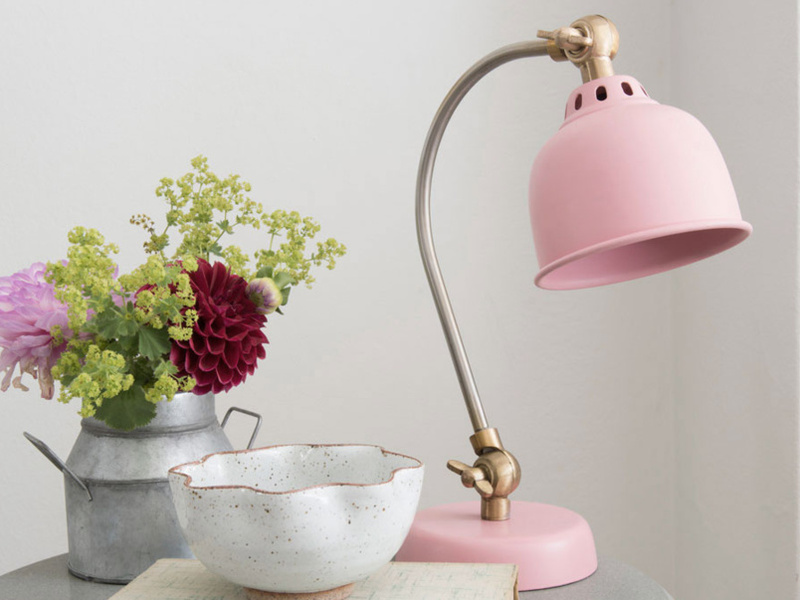 A lovely soft pantone of pink for this pretty little lamp. 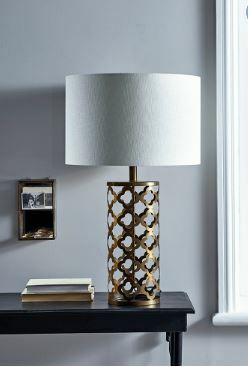 With a brass base, cut out in a beautiful Maroq pattern, our statement table lamp will make a bold addition to your living space. 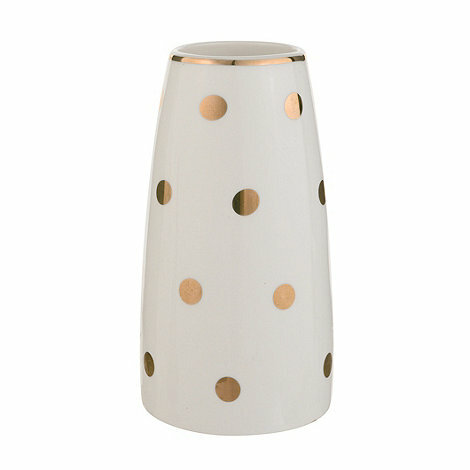 Tall and elegant in shape, it is finished with a natural cotton shade. 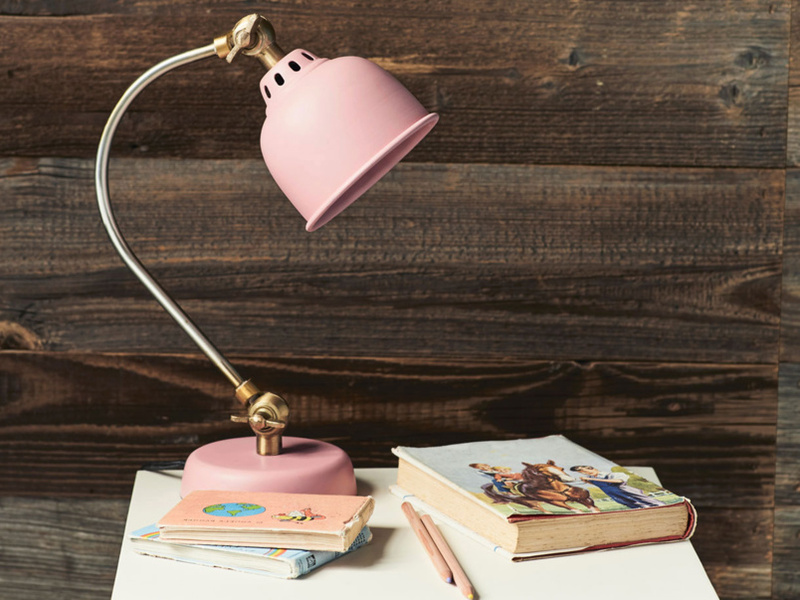 A striking and unique piece, our Odiham desk lamp will make a fantastic addition to your home. 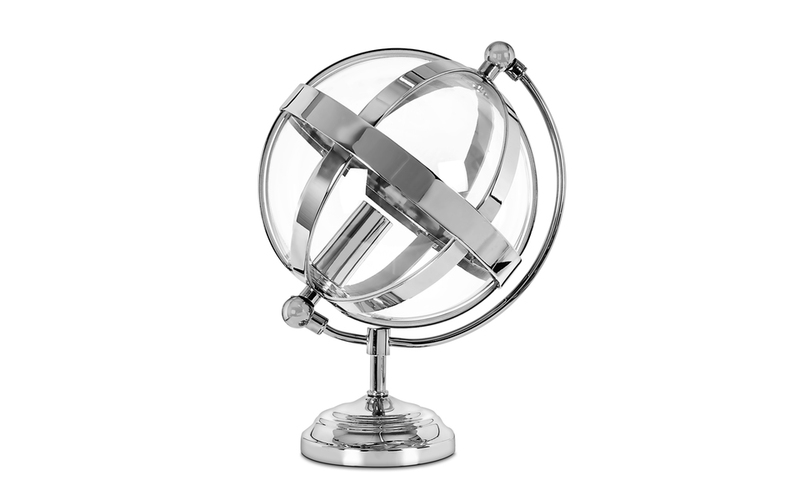 Featuring a glass sphere pendant and nickel finish iron frame, this unusual style is perfect for adding an industrial inspired edge around the home. 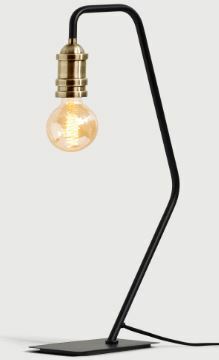 Add a statement bulb to add impact and team with other lighting from the range for a coordinated look. Now that all of my festive decorations have gone away, this corner all of a sudden looked sparse. 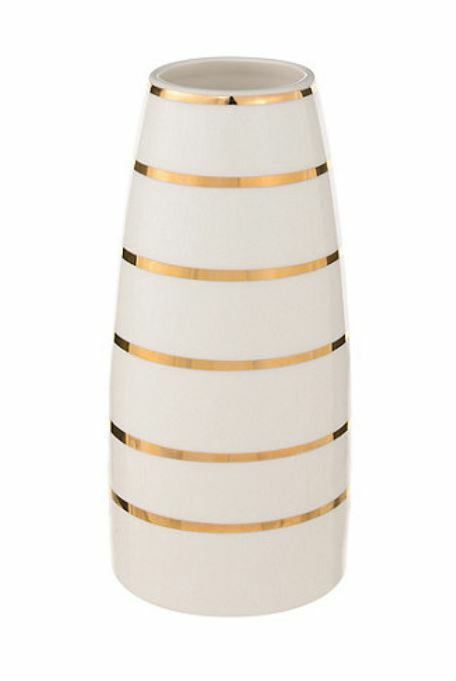 So in addition to my lamp I have added a mix of vases in different shapes and patterns, all in white and gold. 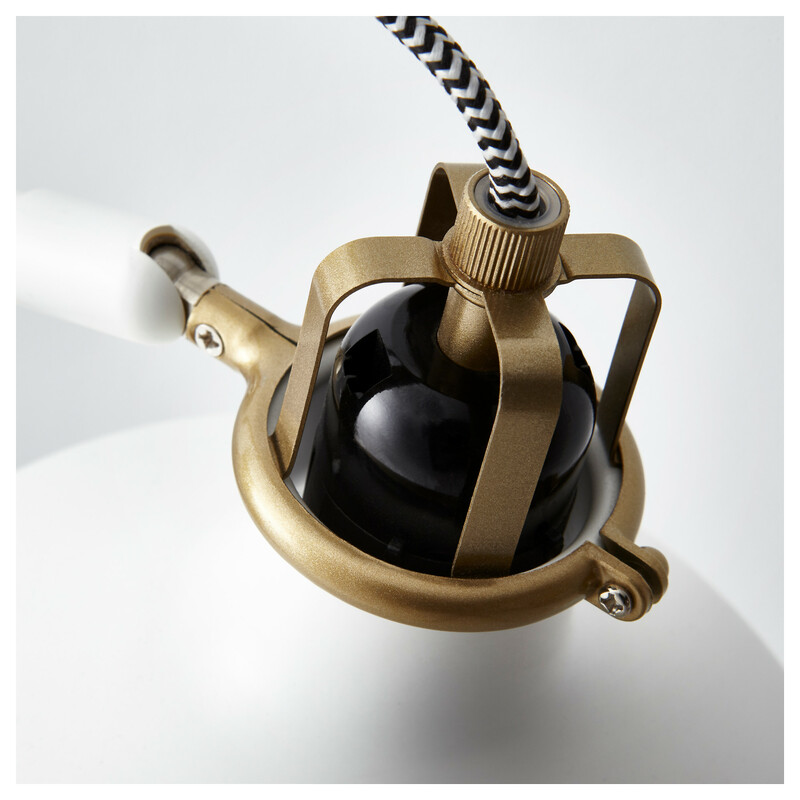 They add a touch of understated character, adorning a smooth, patent effect finish. 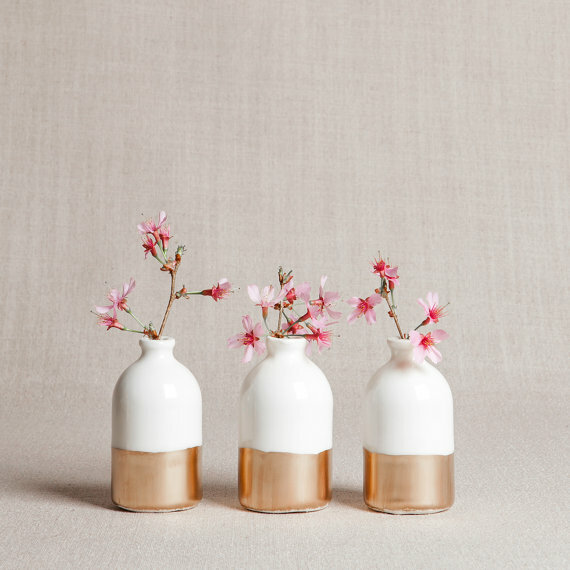 Each bud vase is handmade and slightly different from the next – no two are ever the same. 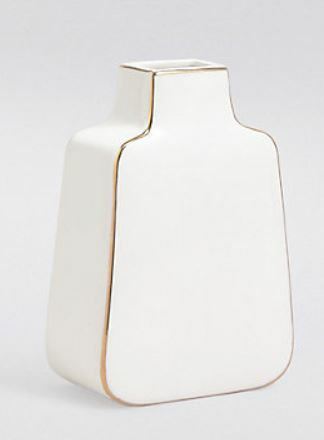 The vase’s simple form is designed to highlight whatever it holds. 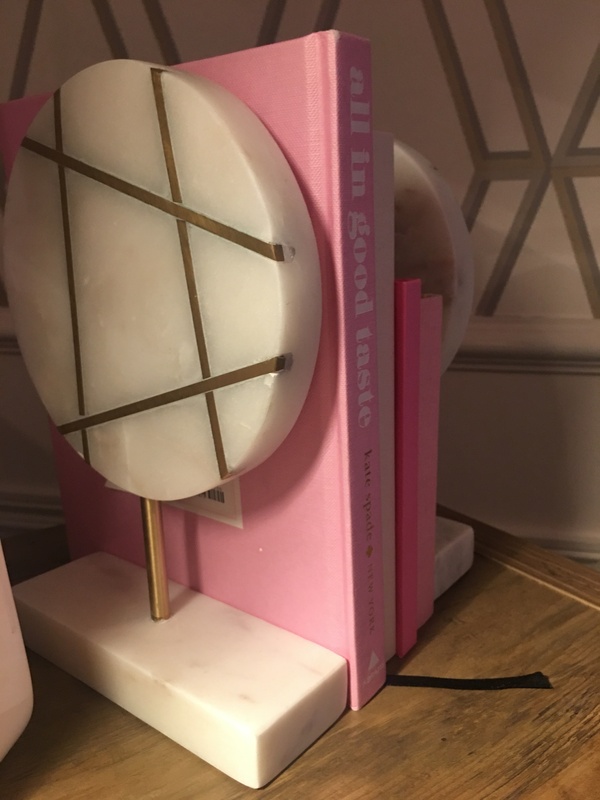 To complement the vases and complete the look I added some of my favourite books and stationary notepads ( as I am a stationary and book addict), neatly displayed with the support of these fabulous marble bookends. 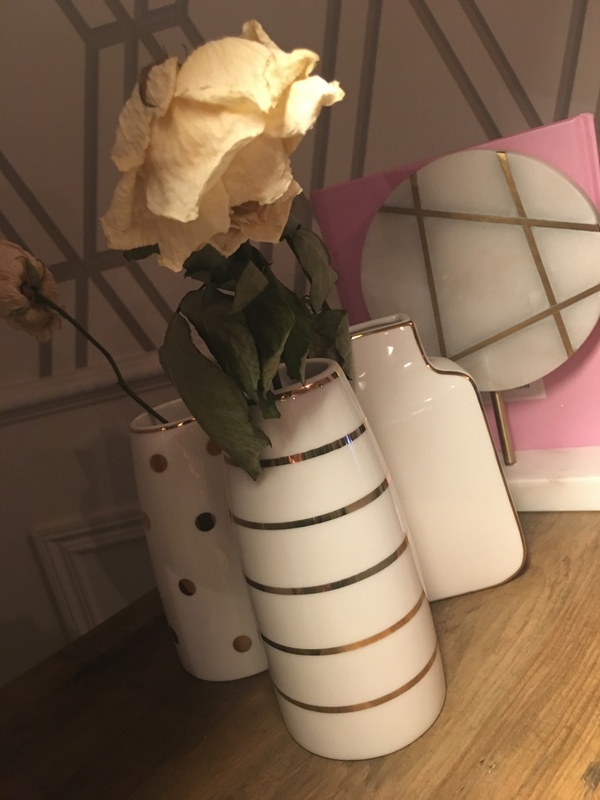 All of these accessories are built around my new décor in this living space which centres on whites, gold’s, silvers and coppers. 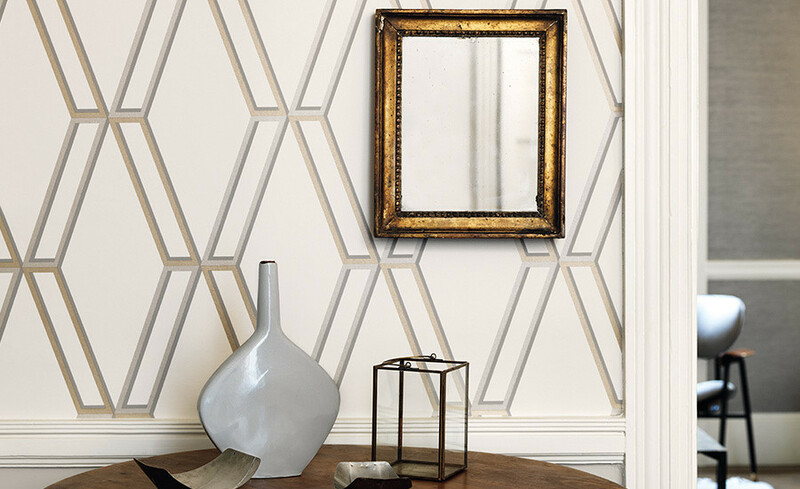 For my walls I wanted quite a dramatic, while at the same time a light style of effect, so I opted for this dramatic large scale diamond design with an eye catching metallic effect. Mine is the whitewash option. (There are three other shades to choose from). I plan to do some more interior deign focused blog posts so keep an eye out.